Don't miss your last chance to see what has come to the fairground! 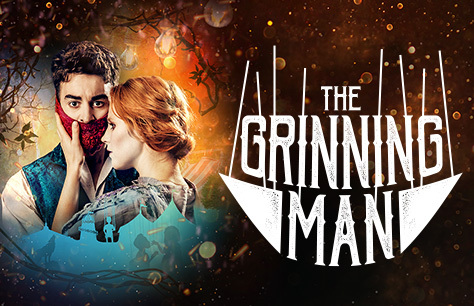 British musical The Grinning Man, which debuted at Bristol Old Vic last year, has announced it will run at Trafalgar Studios from 6 December. Directed by Tom Morris (War Horse), artistic director at Bristol Old Vic, the new musical is based on the novel The Man Who Laughs by Victor Hugo, and is about a new act at the Stokes Croft fair - a hideously beautiful man. The show was nominated for Best Regional Production at the WhatsOnStage Awards. Louis Maskell, Sean Kingsley, Ewan Black and Sanne den Besten starring, with music from Tim Phillips and Marc Teitler with lyrics by Carl Grose, Morris, Phillips and Teitler. Recommended for brave 12 year olds and above. Please note this play contains dark subject matter with some scenes of a sexual nature, violence and swearing. Brilliant - loved it, great characters & humour. A fantastic show from beginning to end. Brilliant!